SIPA, a supplier of production and filling of PET bottles and containers in Italy, has launched a new line of stretch-blow molding machines, Start Blow, an entry level series for companies that want to enter the PET bottle market. The new equipment is available in two versions, with two and four cavities respectively, capable of producing bottles at output speeds from 2,000 up to 6,000 bottles per hour. Both models are fully electric, with servo drives governing principal movements, including stretch rods. Every machine axis movement is under closed-loop control. As introduced, the new machines incorporate numerous technologies within a compact layout, such as low-energy infrared heating, a high-efficiency neck air cooling system, and quick and precise stretch and blow, that are borrowed from SIPA’s existing SFL and SFR high-output linear and rotary stretch-blow molding machines. 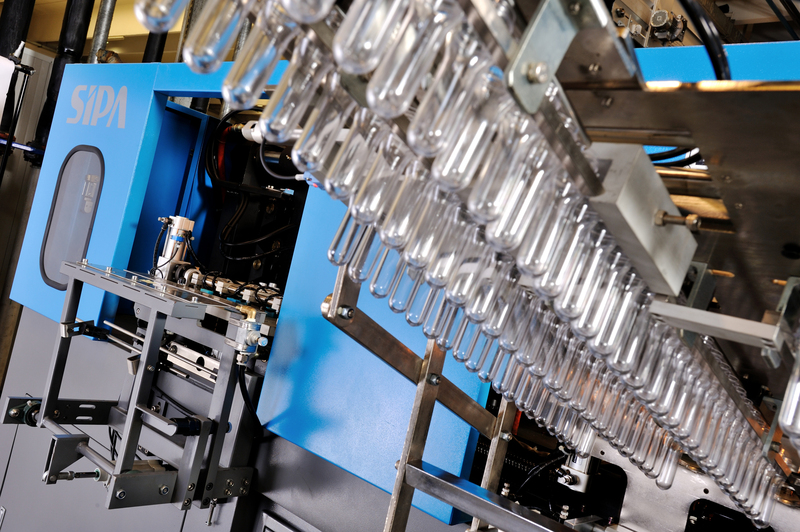 Production of PET bottles can be started in a matter of hours after the machine arrives in their plant, says the company. It will be easy to set up and run thanks to a user-friendly interface and a compact, simple and reliable preform loading system which ensure low maintenance. “The market for bottled water continues to grow at around 8 % every year,” says Enrico Gribaudo, General Manager at SIPA, “but the growth is shifting to emerging markets. With Start Blow, we are meeting the needs of new entrants into the market, and we are offering a solution that fits with local requirements. When companies start up, they need to learn to walk before they run, and learning with Start Blow is very easy.” He adds that the company can supply the molds as well as the machines and the delivery time in general is no more than around 45 days.